For many Democrats who still desperately hold out hope of overturning the 2016 election, special counsel Robert Mueller is a folk hero. Barnett said her family named their new puppy Mueller. There has been widespread speculation that Mueller is close to wrapping up his investigation. When Mueller does submit his report, Attorney General William Barr will review it and is expected to create his own report to send to Republican and Democratic leaders of the Senate and House Judiciary Committees. Barr will ultimately decide what, if anything, in the report can become public. 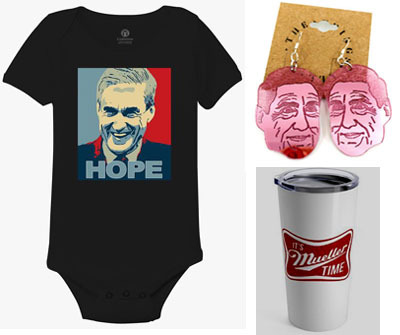 Fans can even shell out $10 for an illustration of Mueller’s haircut to hang on the wall. Shellabarger thus far has sold two prints of his Mueller haircut illustration.